WILDCATS!!! GET YOUR HEAD IN THE GAME, or more appropriate, ‘Fencers! 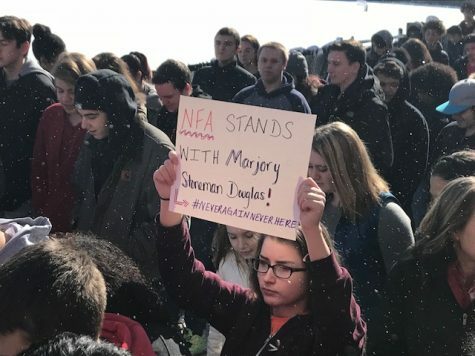 Get your masks on and your swords out!’ Whether or not you are a Troy Bolton fan, there is no doubt that the NFA fencing team has accomplished a triumphant season, becoming Team State champions for the first time in NFA’s history. In addition, for the first time in eight years, all four varsity squads advanced to the Team States competition. “For the men’s varsity foil, the NFA team went 16-0 victory. We placed first at the Eastern Connecticut Conference. We are seeded first in the state’s individual tournament,” stated senior captain, Ryan Smith. “Women’s Epee went 14-2 overall, and went 3-0 at Team States to win the state championship in Women’s Epee,” stated senior captain, Alex Wicken. At the States Competition held at Guilford High School, two fencers placed in the top 16 out of 75 competitors in the Men’s Foil and all fencers placed in the top 20 out of 65 competitors in the Women’s Epee. Wicken became the state individual state champion in the Women’s Epee. However, his victory did not come easily. After finishing a disappointing 5th place at ECC’s, he overcame adversity to advance to the finals of the individual states competition, beating over 64 competitors. As a transgender athlete undergoing transition, Wicken identifies as a male, but competes in the women’s fencing division. Next year, he will compete for the men’s fencing team at Brandeis University. “Winning states was a testament to the hard work I have put in and to my competitive nature. My fencing in the finals was not awesome, but I simply wanted it more than my opponent. I fought harder for each touch and that’s why I came out on top,” expressed Wicken. Originating from medieval duels and sword-fighting in the 15th century, fencing is a dangerous sport that features many technical rules. Fencing is not only fast and precise, but it also requires skill and hours of practice to perfect. “In fencing, the main goal is to try and land a touch on your opponent. When hooked up to the electrical wires, it completes a circuit and goes off, which lets the director know which point whose point it is,” explained lower, Garrett Testut. “The history of fencing is based around self-defense. There are three different types: sabre, epee, and foil. Our team supplies epee and foil. In epee, there is absence of right of way. In epee, any part of your body can be a target. If you score a point, that can be your point; whereas in foil, parts of the body you can touch are the chest and shoulders,” explained Smith. On the NFA team, there are three groups of fencers, which include novice, junior varsity, varsity, and a men’s and women’s team for foil and epee. The point system for fencing is similar to golf, in that the team with the overall lowest score wins the competition. “Our team fences all the members of the other team, and then all the scores are added up to see which school overall got the highest points. Then, at individual tournaments, our team is divided out into different groups, and we collectively see how well each member of our team did,” added lower, Ashlyn Sminkey. While fencing is a physically daunting sport it can also be mentally challenging. “There’s a lot of work that you have to put into it. Success is given through dedication. Through fencing, it’s so easy to have an on day or an off day, depending on your mood. 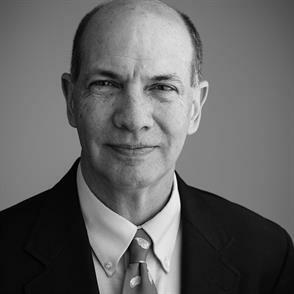 It’s solely dependent on how you are fencing and no one else,” stated Smith. Competition at the Eastern Connecticut Conference level and state tournaments has become a catalyst for the growth of many athletes and has allowed the team to become a tight-knit group. “It’s so exhilarating, watching and fencing. It’s so fulfilling afterward, even if you don’t win, just to know that you did your best. As a team, everyone is so supportive, even if you aren’t successful. Even if you did your personal best and it wasn’t the same as people who did great; your personal growth is the most important thing in this sport,” commented Sminkey. 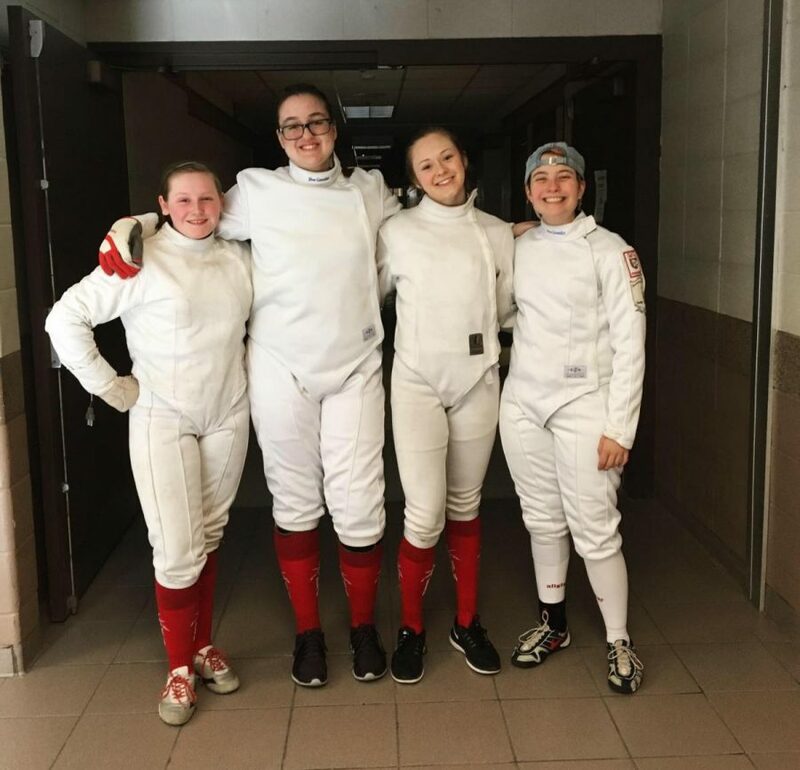 Fencing is a sport that requires competition and dedication; however, team bonding and a positive environment are the elements that NFA’s team believe make them a unique group of athletes. Learning the sport and joining the team has helped many fencers feel more confident. “As someone who has been involved in sports for my entire life, the fencing team is easily the most accepting and loving team environment I have ever been in. Fencing typically draws in some very eclectic kids, often who don’t have that much in common, and I think that is what makes the team so great. We are all so different, which forces us to branch out and make friends with people that we otherwise might not have talked to. We help each other grow both as fencers and as people by challenging each other,” stated Wicken. “Last year, I was socially anxious and I didn’t like talking to new people and putting myself out there. But this year, I took the chance and I joined. Everyone there is so welcoming, and is so nice and it’s so easy to connect with people. 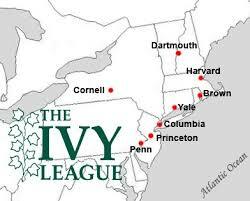 It makes you feel like you’re at home with these people and you bond so easily,” stated upper, Leonardo Heyse. “[What I will miss most about fencing is] the sense of community. Nothing has compared to the time I’ve spent with the fencing team. It just becomes a family. Even if you don’t like the sport itself, the people that you’re around are so inclusive and so helpful,” stated Smith. 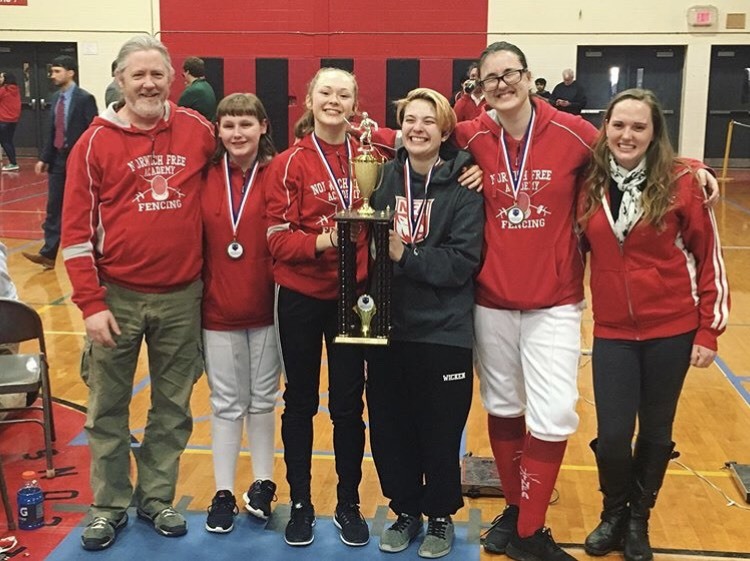 Fencing, a sport that relies mainly on the success of the individual, has ironically given athletes like Smith, Wicken, Sminkey, and many others a family at NFA. “Every one of the fencers has something about them that’s a little quirky, a little different. Maybe they’re more talkative, maybe they’re smart, but quiet. Some of them are quiet, but you realize afterwards that they’re open when they’re on the team,” stated Head Coach, Dominique Weigel. 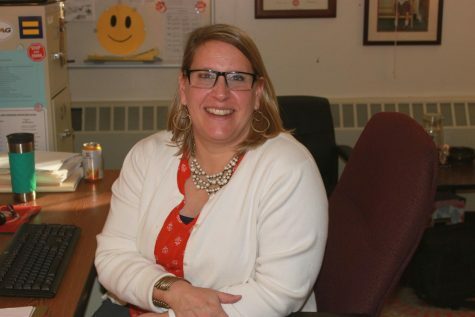 She coaches with Coach Tim Menard, who has been coaching for fifteen years, and Coach Scott Probose, who has been coaching for eight years. Weigel, an NFA fencing alum, hopes to expand the NFA fencing program to include a saber squad in the coming years. But in the meantime, the team takes pride in its State championship and strong friendships.